Also serving communities of Neenah, Hortonville. There are 13 Memory Care Facilities in the Appleton area, with 8 in Appleton and 5 nearby. The average cost of memory care in Appleton is $4,360 per month. This is lower than the national median of $4,650. Cheaper nearby regions include Kaukauna with an average starting cost of $3,000. Caring.com has helped thousands of families find high-quality senior care. To speak with one of our Family Advisors about memory care options and costs in Appleton, call (855) 863-8283. Appleton, Wisconsin, which is located within the Alzheimer's Association's Greater Wisconsin Chapter, is home to about 75,000 people and a senior community that comprises 12 percent of the population. Situated in a state in which it's estimated that 110,000 seniors are currently living with Alzheimer's disease, the Appleton area has an array of supports and informational resources, including nearly five dozen memory care facilities. Eighteen of these facilities are located within the city, and there are 40 facilities in the surrounding cities, including Neenah, Menasha and Kimberly. In Appleton, as in the rest of Wisconsin, memory care facilities are generally situated within licensed community-based residential facilities. 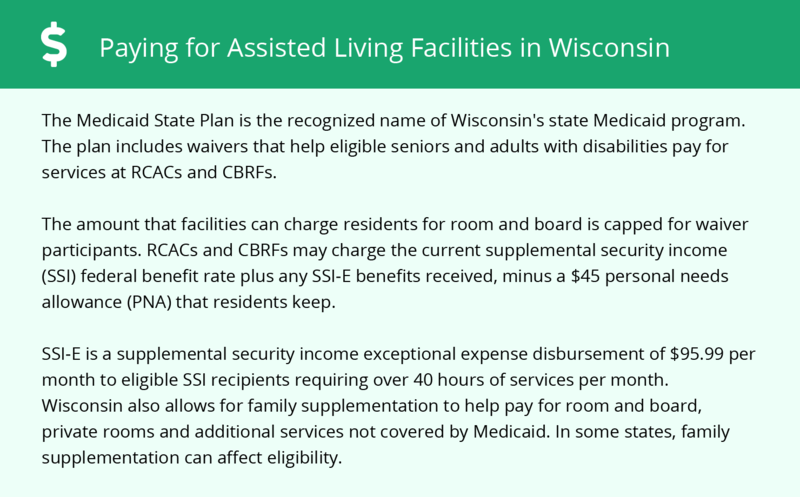 These facilities are licensed and monitored through the Wisconsin Department of Health Services, Bureau of Assisted Living, Division of Quality Assurance. Appleton has warm, comfortable summers, with highs in the low-80s and lows in the 60s, which may appeal to seniors who enjoy relaxing outdoors. Winters are harsh, however, with 43 inches of annual snowfall and temperatures ranging between 12 degree and 26 degrees. This may hinder travel for families visiting their loved ones in memory care in this city. 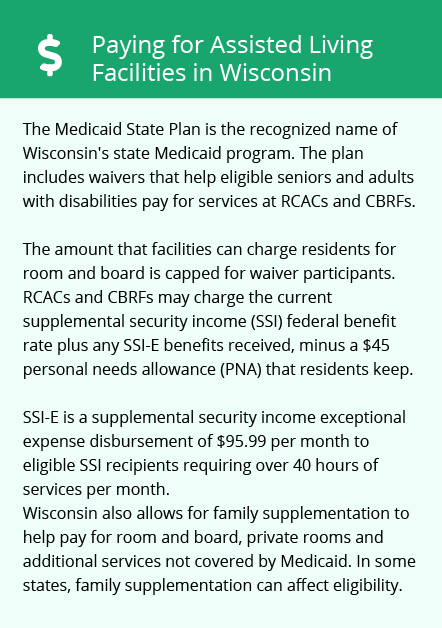 Social Security income and public pensions are not taxed in Wisconsin, meaning that seniors who rely solely on these forms of retirement income may not pay income tax at all. However, private pensions and withdrawals from retirement savings accounts are fully taxable. Overall, Appleton's living costs are several points below both the state and U.S. average. While this is primarily due to the low cost of real estate in the area, it may positively impact how much seniors pay for room and board in memory care. Healthcare expenses are 11 points higher than they are elsewhere in the country, which may increase the expense of managing a chronic condition like dementia. Appleton has a relatively low crime rate, with both property and violent crime rates coming in well below the national average. On a 100-point scale, with a lower number representing lower crime, the property crime rate is 33.2, compared to the national average of 38.1, and the violent crime rate is 22.3, compared to the national average of 31.1. This may give families peace of mind as they move their senior loved ones to memory care here. Memory Care costs in Appleton start around $4,360 per month on average, while the nationwide average cost of memory care is $4,798 per month. It’s important to note that memory care rates in Appleton and the surrounding suburbs can vary widely based on factors such as location, the level of care needed, apartment size and the types of amenities offered at each community. To see a list of free memory care resources in Appleton, please visit our Assisted Living in Wisconsin page. Appleton-area assisted living communities must adhere to the comprehensive set of state laws and regulations that all assisted living communities in Wisconsin are required to follow. Visit our Memory Care in Wisconsin page for more information about these laws.